p=b button (punch, even though it is button #1, it's usually a punch), k=a button (kick), u=up, t=towards, b=back, d=down....etc. Any: d,t+a, u,d+b, d,a+b (it's tricky, and can be changed around well. I substituted p and k for b and a in here, at one point, then realized away was a, so I had to re-change it. If any combos don't work, that's probably the reason, or I just goofed. 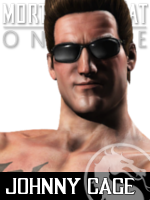 My personal favorites are Johnny Cage and Scorpion, who can dominate an enitre match (even on very hard or against a good opponent) if you really know how to use them. On my profile it says my best is Cage. Feel free to add to the list, guys. "Long Fist: p,p (can be finished with about any of his moves, but works best with t+k...he's slower than christmas and is relly open for interupts.)" I'm sorry, I didn't care. Thank you so much for this info!!!!!! I asked for this like... One month ago and noone cared to answer. Again, thanks alot!! Another one for Raiden: <br> <br>p,p,u+p,u+p,(d,u+p)* - 6 hits, 35% damage <br> <br>*&#39;tis the weapon attack where he sweeps them then hits them as they fall.<br> EDIT: added 2 extra attacks. 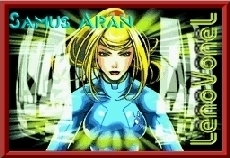 *'tis the weapon attack where he sweeps them then hits them as they fall. EDIT: added 2 extra attacks. I never noticed that raiden combo before. It works really well. Good eye. that kombo for raiden that starts in Nan Chuan and ends with a (D,U+P) is the best kobo in the game. I found it myself though. just got the game 4 days ago and dont wanna complete it in 100% that soon. I'm personally not a big fan of the Raiden combo, but it is effective. Have you tried all the characters yet? In four days, I doubt it. Hope you enjoy it! I'm still discovering new combos all the time, but half the time I don't write them here because I forget what I did during the day.